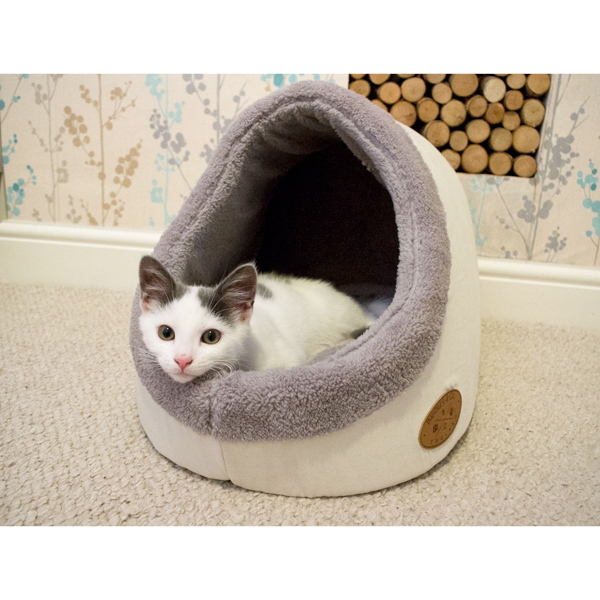 This cute and cosy cat bed provides the perfect spot for your feline friend to relax and unwind after a long day of exploring. Made with a beautiful faux sheep sherling interior for comfort and removable cushion for convenience. 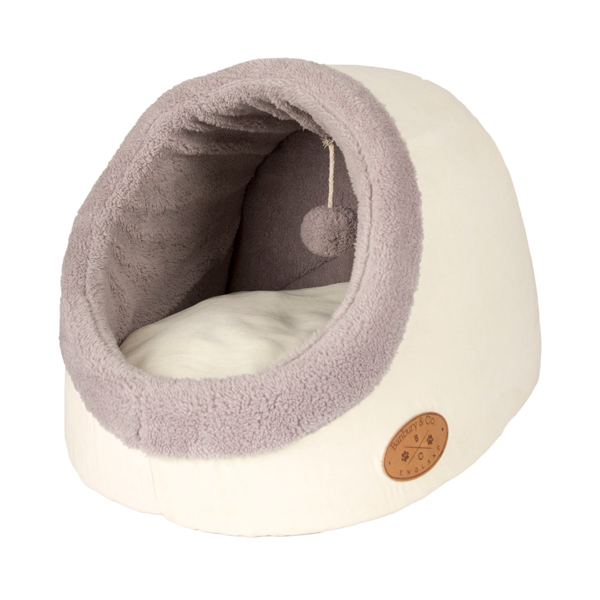 This igloo cat bed also features a fun hanging teaser toy to keep your pet entertained.